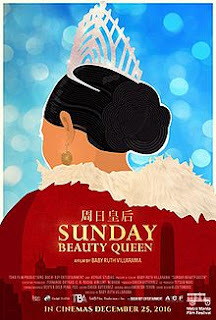 Sunday Beauty Queen, a documentary movie about Overseas Filipino Workers in Hong Kong getting together for a yearly beauty pageant. 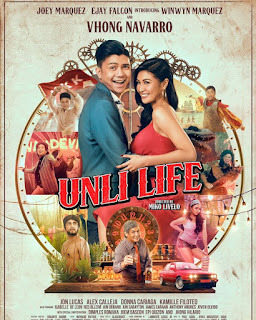 This was directed by Baby Ruth Villarama and produced by Voyage Studios. The movie showed behind the scenes of the candidates of an annual beauty pageant held at Hong Kong. Each stories depicts the sacrifices of every domestic helper just to provide for their family left in the Philippines. A scene from Hazel Perdido, a domestic helper for 8 years, watched the graduation of her daughter through video call. Longing to be present on that important event for her daughter. A heartfelt stories of these modern heroes that the citizens of Hong Kong are grateful for. It captures the reality of the OFWs, that despite of their hardships and busy work days, they find a time for themselves. Every Sunday of the week, they leave their employers and give time for themselves to enjoy and be free. That's why they ended up having a annual event, where they have programs and beauty pageant just like back home. It is a time where they showcase their talents and beauty. A movie of reality and simply being. It fascinates viewers of how OFWs can be positive and find a way to enjoy despite the fact that their away from their loved ones. Salute to all OFW's out there, our modern heroes.